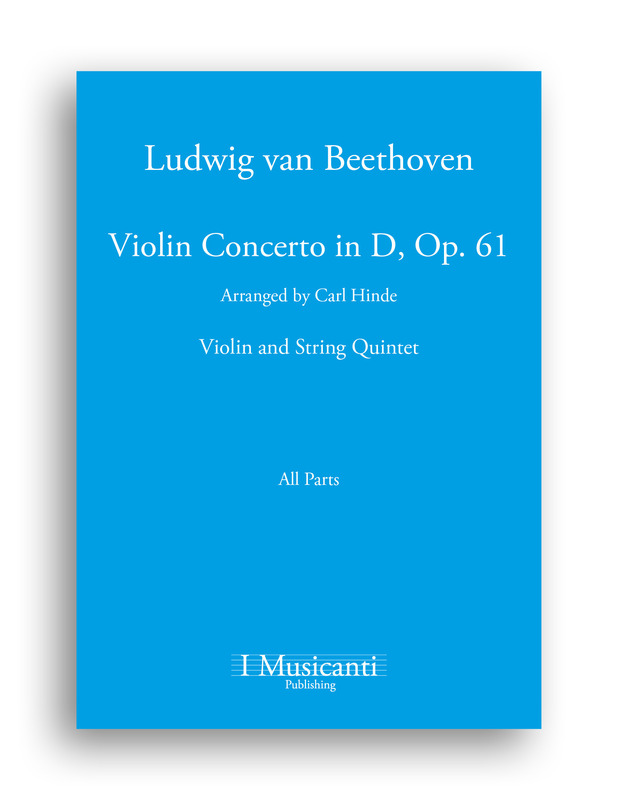 I Musicanti Publishing presents a brand new arrangement of Beethoven’s violin concerto for string quintet and solo violin by composer Carl Hinde. Upon payment you will receive an email with a download link to download the PDF. In every case, this new edition gives musicians a first-hand way to deepen their familiarity with Beethoven’s only string concerto.